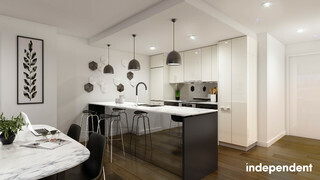 Atria will deliver 142 luxury one, two and three-bedroom apartments within the heart of Kingston. Intelligently designed and beautifully appointed, each apartment is enhanced with designer interiors, first-class kitchens and sleek bathrooms. Offering spacious and practical, light-filled open floor plans Atria sets the scene for a rich and dynamic home life. 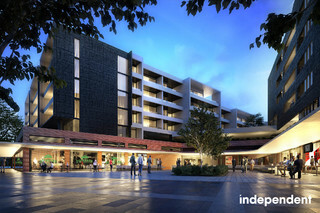 Atria's striking contemporary design incorporates brick facades, raw materials, and utilitarian lines to complement the natural and urban environment of the surrounding area. Named for its vast central open-air atrium, Atria provides a central and private residents-only space and a tranquil transition to your home. This private sanctuary features cross-ventilation to apartments that face onto this space, a rare and priceless opportunity in apartment living. 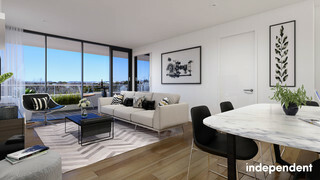 Atria heralds the reinvention of one of Canberra's oldest and most respected precincts, with the perfect blend of amenity, modern living, and suburban charm. Overlooking Green Square, Atria offers the kind of piazza style living enjoyed in the most stylish urban renewal areas of Sydney and Melbourne. for their attention to detail and considered approach to urban liveability, making them one of the country's most progressive and awarded developers. Together they share a commitment to generating investment opportunities in emerging areas as a means of revitalising communities and providing necessary urban infrastructure for growth. Their partnership is enabled by a shared passion for creating highquality residential living which contribute and complement their surroundings. The average age in Kingston is 33 years and it has a population of 2,978. This listing was first displayed on 29/4/16, last updated on 4/2/19, and this development has been viewed 10073 times. Please note the counter is not updated immediately.